At the beginning of the project Jane created a logo for bloggers to use to link their blogs to the HeartStrings Quilt Project. The logo has been reproduced by project members into quilt tops and I’m anxiously waiting to see the first one quilted. Melva was the first to post a photo of her Sweetheart top pieced by her and her husband, Guy. 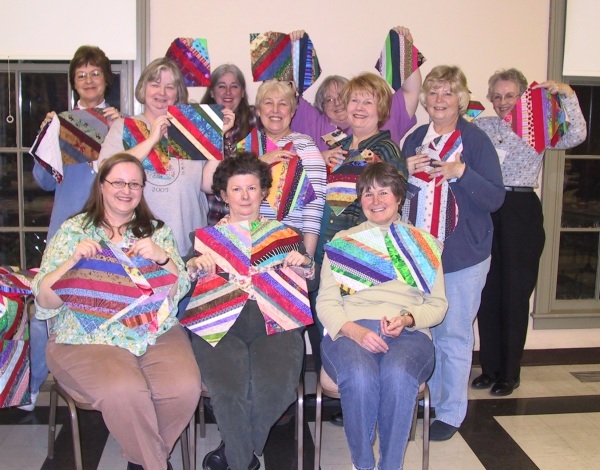 Jane went on to design other string quilt variations to share with members and even got her guild involved in the HeartStrings project by making it their February Block of the Month Project. They currently have 3 tops that are in the process of being quilted by guild members from the blocks made and donated by their group. The first one is being pinned for quilting in this photo and the other two can be seen by clicking the links below. 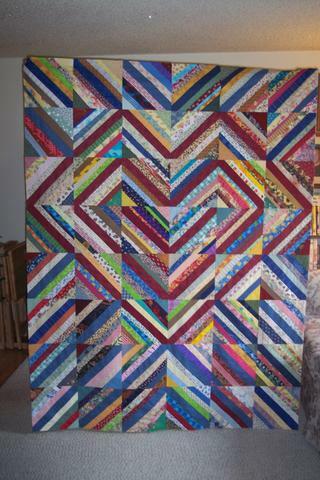 You can see other string quilt designs by Jane by clicking on the links below. What a great site! All of you have absolutely outdone yourselves putting this all together! Jane’s logo and all of her phenomenal designs are so creative and her quilt guild is to be commended! 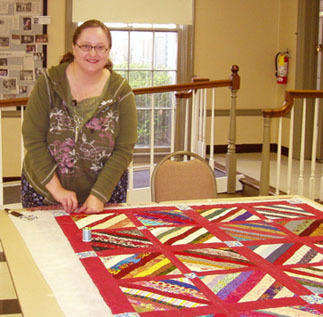 Melva and her husband’s quilt is an absolute inspiration to us, all. I am honored to be a part of such a creative and hard working group, I truly am. Mary,(Megan and Sue!) you are amazing! Kudos to you, all!